LISD Male Mentorship Summit Participants. 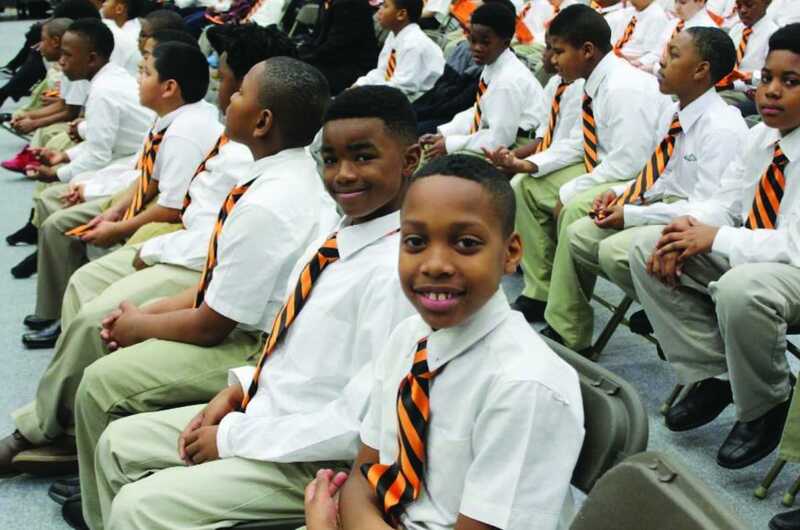 LANCASTER—As President Barack Obama leaves the Oval Office Friday, about 400 male Lancaster students will convene for the third annual My Brother’s Keeper male mentor-ship summit. This event is a flagship collaborative of the city of Lancaster, school district and local clergymen and will be held at Cedar Valley College located at 330 North Dallas Avenue in Lancaster, Texas. The young men in grades third to fifth will spend the day learning from professionals, leaders and mentors in their community. The topics will be delivered via a mix of general and breakout sessions and are designed to inform and educate the students in the areas of Leadership Development, Social Excellence, Self-Empowerment and Self-Actualization. In Lancaster ISD, the My Brother’s Keeper male mentor-ship program is active on all of the campuses as a part of the district’s Student Leadership Development Series. The program allows students to have the support needed to stay on track, overcome obstacles and develop in a well-rounded manner throughout the year. The premises of the Lancaster ISD organization stemmed from the national My Brother’s Keeper Initiative started by President Obama in 2014 to address the opportunity gaps faced by young men of color with the goal of guiding all young people to points of access that will help them reach their full potential socially, academically, mentally. The program is in alignment with the district’s vision that “all students will achieve self-sustaining success and leave a lasting legacy. Learn more about the Lancaster My Brother’s Keeper Male Mentorship Program at www.lancasterisd.org or call 972-218-1400.